The National Aeronautics and Space Administration (NASA) is the key space agency of the United States. It has, to its credit, several milestones, including the first-ever human landing on the Moon, Earth's only natural satellite. 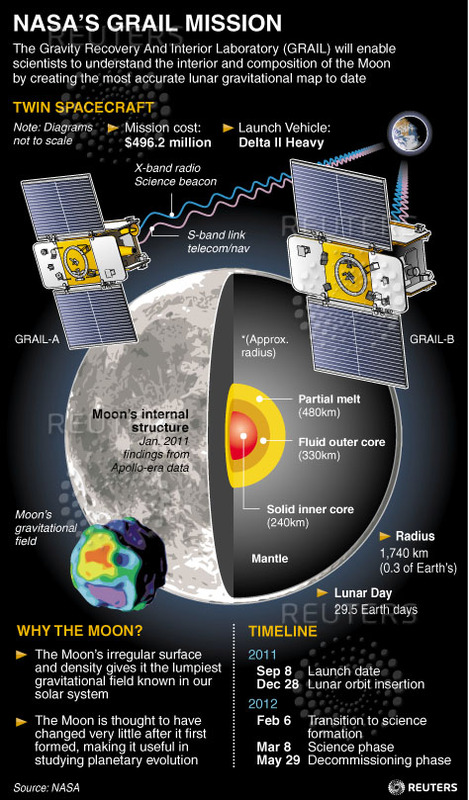 Last month it launched the GRAIL mission to the Moon. Here's a Reuters infographic that captures the important details about this important mission. Somewhere I have a hunch that this will turn up as a GK question in one of the entrance tests, like SNAPTest.